Hey everyone! 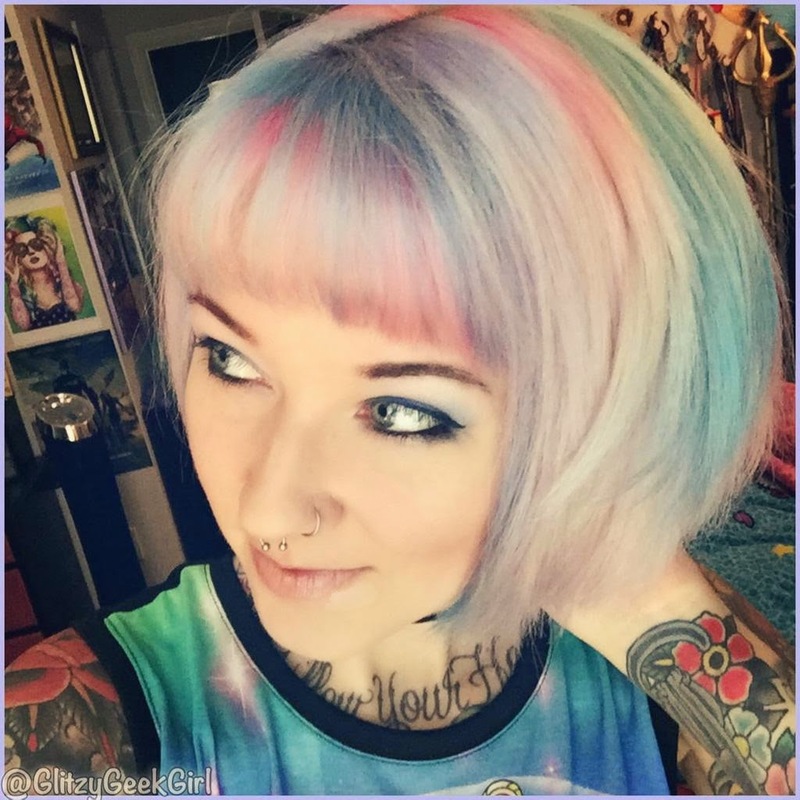 It's been too long since I updated my blog! I think about it every day, but have just been busy with other new adventures lately. My blog was such a prominent part of my life for the last few years - it really has been hard taking a break from it. However, I would imagine most bloggers have to step back every now and then and give their brain a refresh. I'm ready to at least give you guys a little "What I've Been Up To" post! 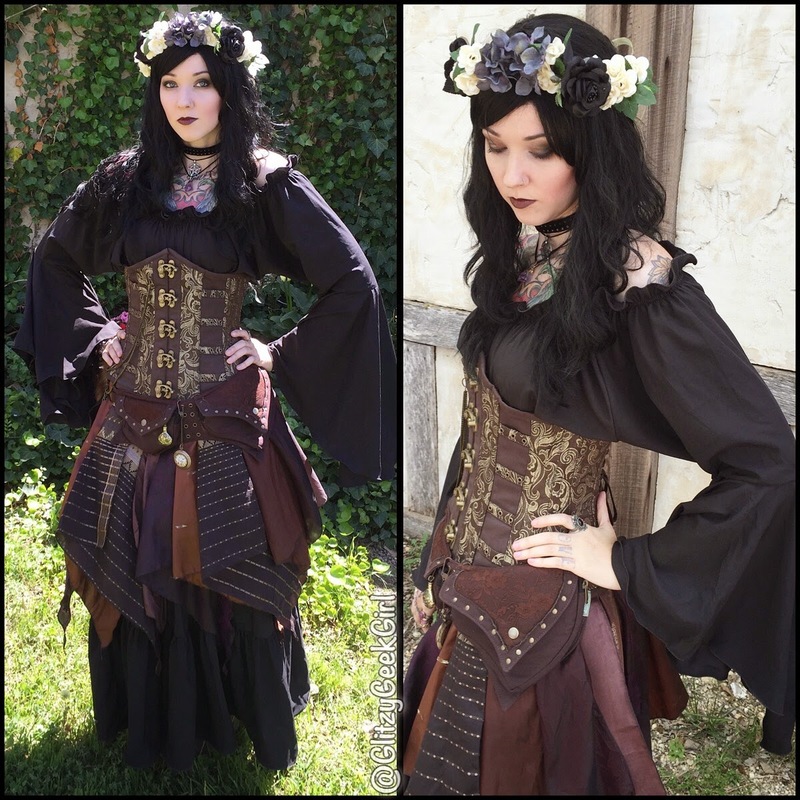 My blog had become a little hub for me to showcase comic cons and my cosplay tutorials. Well this year I haven't been attending as many cons as before. And believe it or not, I haven't made any new cosplay costumes. As much as I love the hobby, it can be quite expensive. So I was really happy when I won a Sunday pass to the Dallas Fan Days back in February. 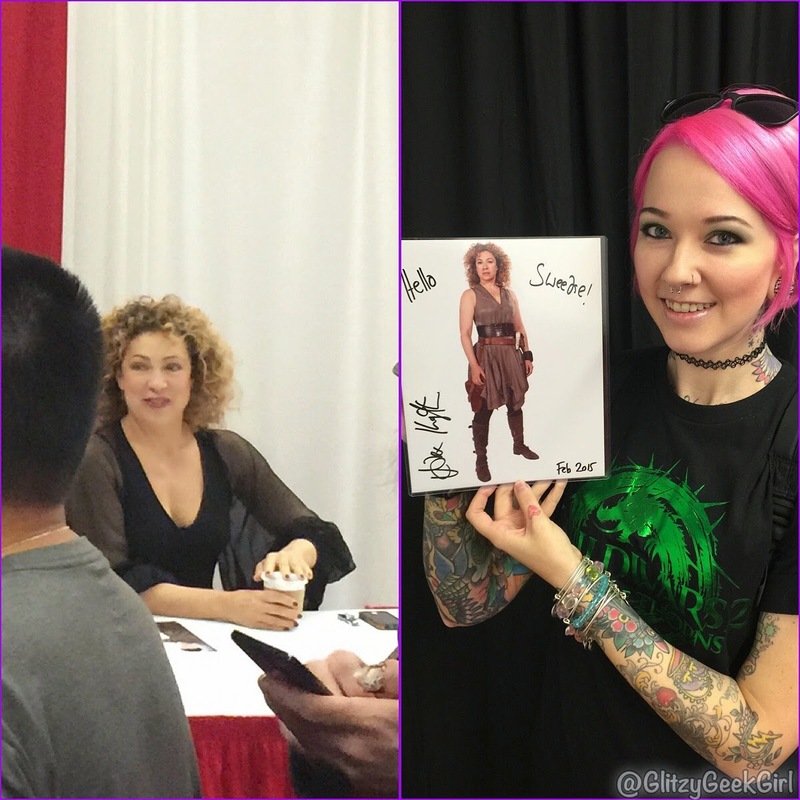 I was able to attend with my mom and meet Alex Kingston who played River Song on Doctor Who. 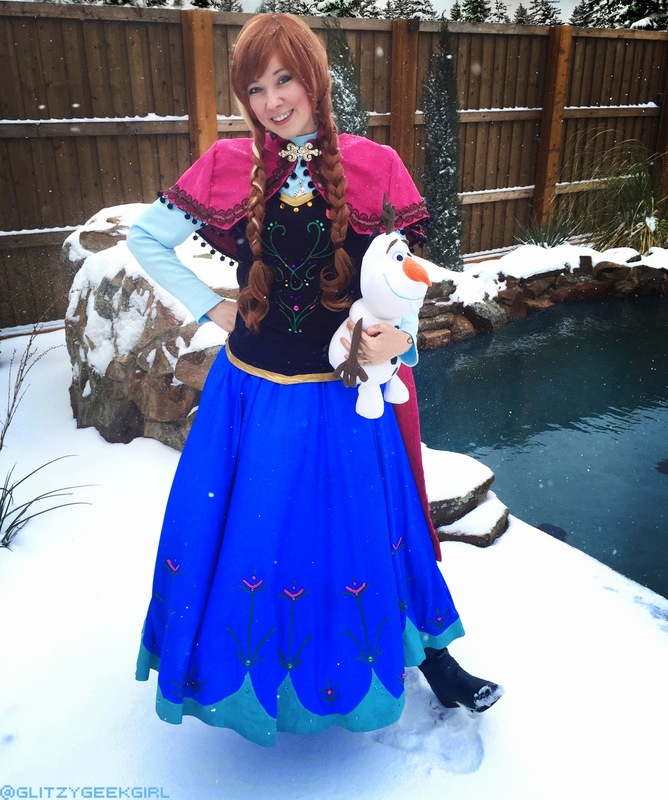 I didn't wear a costume to Fan Days, but we did have a nice snow day so I could put on my Princess Anna cosplay and take some pictures in our backyard! Now I do have some exciting news - I am definitely attending the big Dallas Comic Con at the end of May! I'll probably just be there Saturday (maybe Sunday; not sure yet) and I even ordered some supplies for a NEW cosplay to wear! I thought about rewearing one I already had and decided it would be more fun for me to be crafty again and make something. I won't say which character yet because what if the supplies don't work and it doesn't end up fitting?!?! LOL So I'll wait until those at least arrive and I can be sure it's wearable. I'll give you a hint though - it's a superhero! 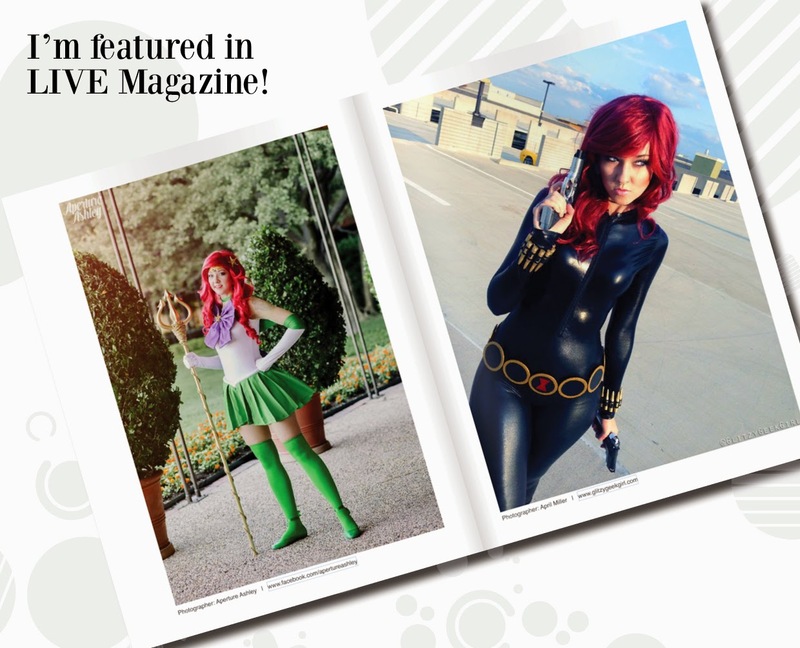 In more cosplay news, I was interviewed by Live Magazine and published in their recent issue! It's really an incredible online magazine that deserves to be looked through. 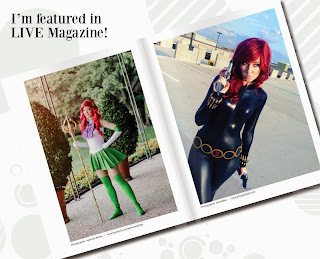 I was so impressed with their quality and super honored to be chosen as one of the featured cosplayers. 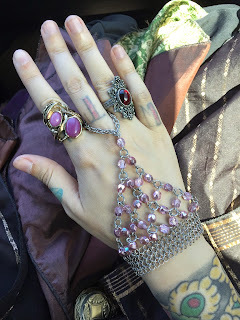 Another adventure I usually blog about is my trip to the Scarborough Renaissance Festival. I attended it again this year around the beginning of April and had the greatest time. The weather was absolutely perfect and it wasn't too crowded at all. 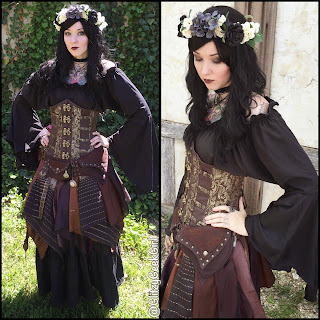 I had made my flower crown and bought the dress from eBay. The corset is from Corset Story and my belt was from Amazon. A few trinkets I picked up at the faire were a miniature crystal ball and a beautiful new bracelet. 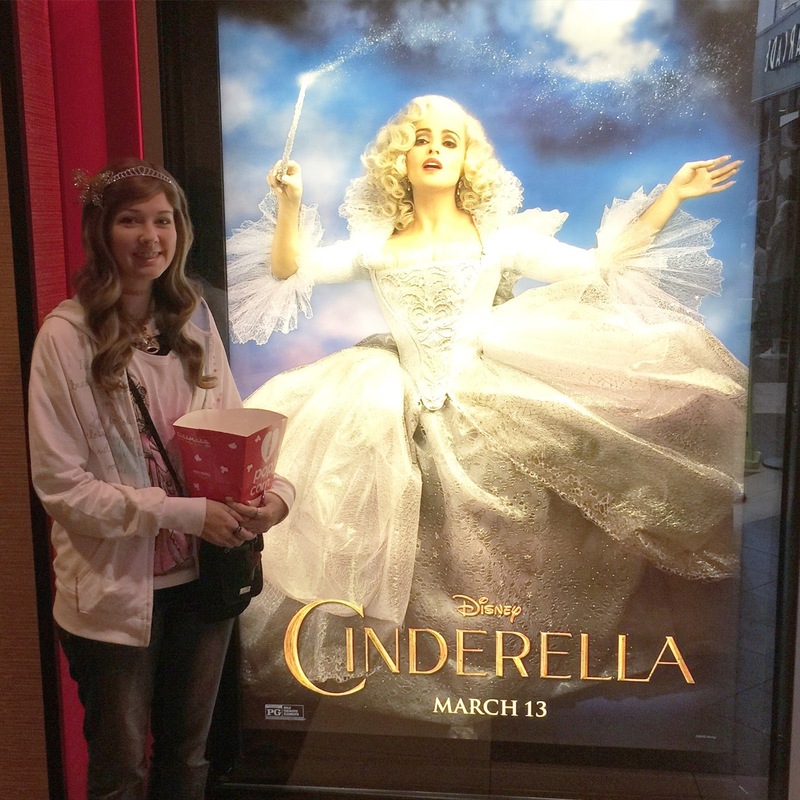 There haven't been too many movies I've seen at the theater yet, but I did go see Cinderella and absolutely loved it. The whole movie made me cry - sometimes with sad tears but mostly happy ones. It was just beautiful! I also saw Insurgent, and to be honest I am not sure if I liked it as much as the first one. I thought the action and special effects were quite spectacular but the storyline itself seemed to be an afterthought in comparison. I hope the third one focuses more on the character development again like they did in Divergent. What did you think of Cinderella and Insurgent? I've been pretty lucky this year to have won a several giveaways, too! I was super crazy ecstatic when I got the email from Fangirlish that I had won a signed Mockingjay poster. 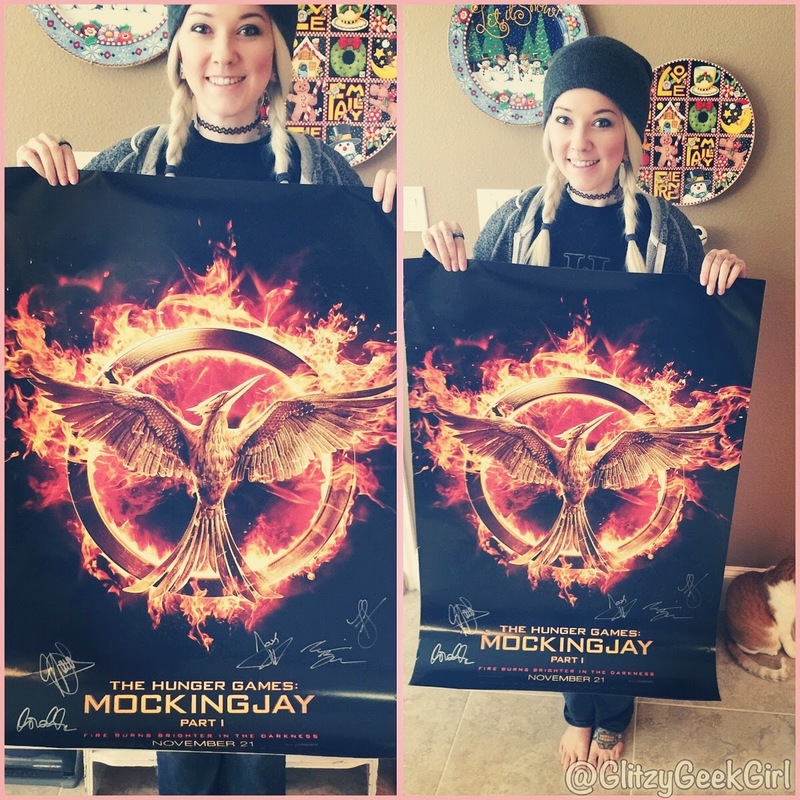 It's autographed by Jennifer Lawrence, Josh Hutcherson, Francis Lawrence, Elizabeth Banks, and Donald Southerland!! I also won an adorable star brooch from GirlHeroLori. It's made by Galactic Castle. 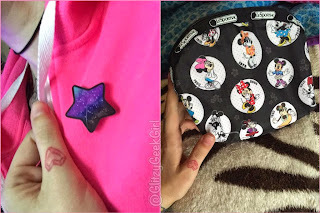 And finally I won a cute makeup bag by LeSportsac from SparklyEverAfter via Twitter. It's so fun to enter giveaways and even more fun when you actually win! I am always surprised and thankful! 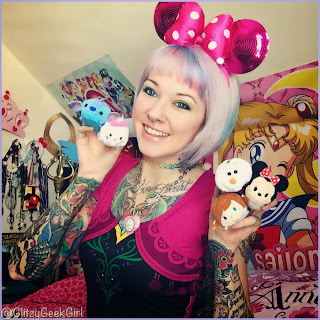 See my video about my Tsum Tsum collection! If you read my previous post then you know I've been streaming my Guild Wars 2 gameplay on my Twitch these days! It's been really fun and such a great way for me to become more involved in the gaming community. I've also been uploading short videos to my YouTube channel. These have been about random things and just a way for me to chat with you guys about things I like! My goal is to keep them short - like 1 to 2 minutes long - and also unedited. So I film them in one take and just hit upload. I figured if I try to make it too complicated I won't enjoy it as much. So far it's been easy and fun! I'd love to hear your ideas for video topics so be sure and subscribe and leave a comment. My hair color hasn't changed too much this year. I've pretty much stuck with all over pink. I did experiment with a pastel rainbow look, but it faded fairly quickly. So now I'm doing a little more hot pink with some bits of purple in it. I like this because even after it fades I think the color looks fine for several weeks. The pixie cut I got last year has finally grown out into a short bob, too. 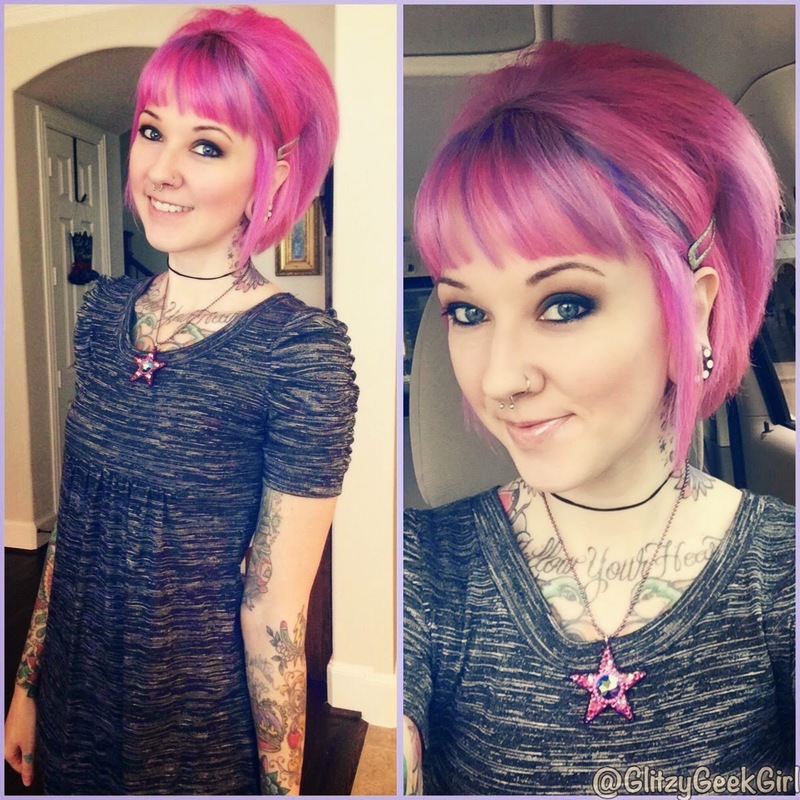 I cut some straight across bangs a few weeks ago, but they already drove me nuts so I've been wearing them to the side. 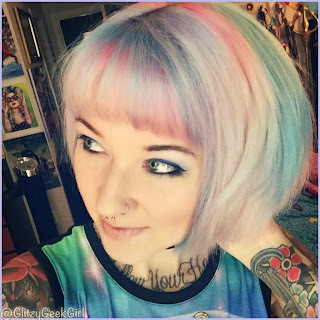 Another reason I've been absent from blogging is because I was actively looking for a new salon job. In case you didn't know, I have been a professional hairstylist for the last 8 years. 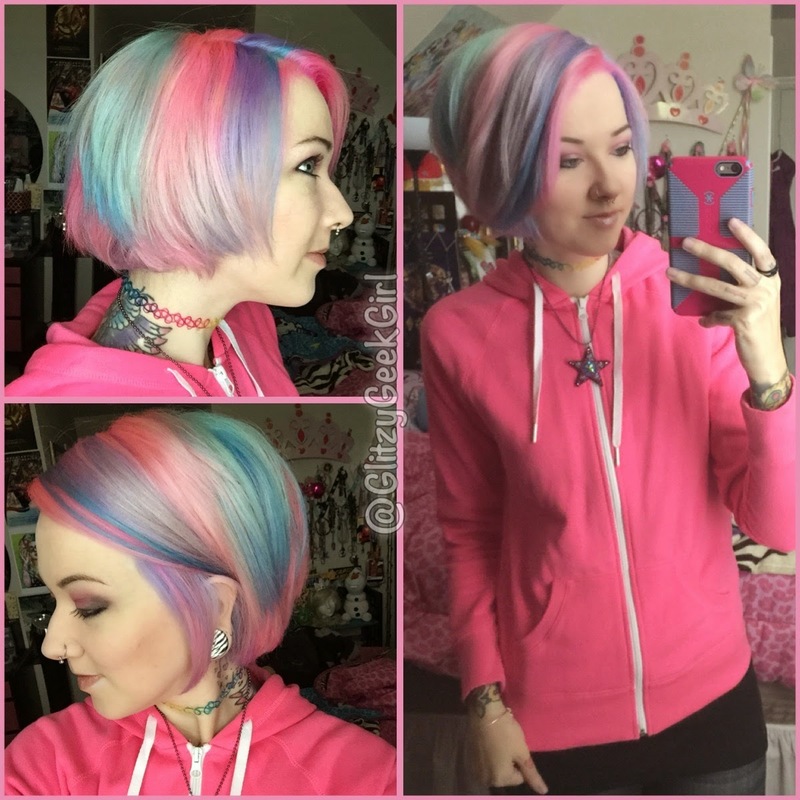 I took a year off for some personal reasons and have finally wanted to get back into a salon. Well sure there might be plenty of salons around the Dallas area, but finding one that is right for me and my clients hasn't been easy. I've interviewed at several and even accepted a position at one recently. But after trying to adapt to their style, I learned it wasn't the right fit for me. I'm feeling a bit bummed about this because I don't want to seem too picky, but at the same time I think it's important to pick the right atmosphere and environment to call home to your career. For the time being, I might plan on reopening my Etsy store with some sort of fun new items. I'm just not sure what would sell well? I also have updated my Sponsor page - I only have one ad size available now and it's a great one! A large ad for $9 and it runs for 2 months! My site is still getting lots of traffic due to my cosplay tutorials and also because of Twitch. So if you are interested in supporting me and also advertising your blog, store, or cosplay page then definitely look into buying a spot. Well this post is already long so I better wrap things up! I've sure missed blogging, and I do hope to post another update as soon as I can. 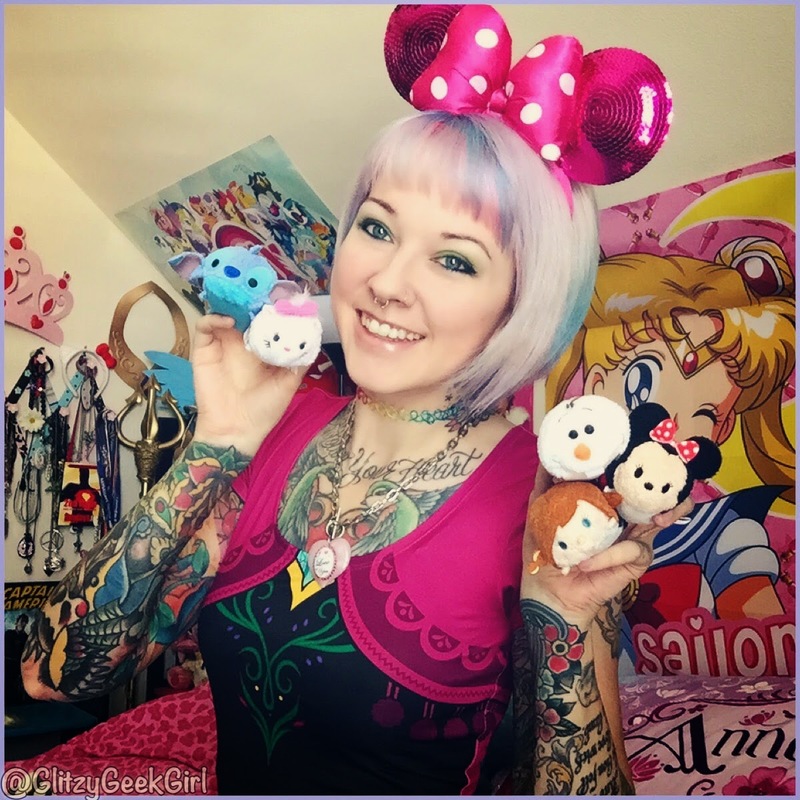 But if you aren't following me on social media be sure to add @GlitzyGeekGirl on Twitter, Instagram, Facebook, etc. I do update those more often! And if you are going to the Dallas Comic Con let me know in the comments so we can get a pic together. I hope to chat with you guys soon .. maybe come by Twitch one night and say Hi?!! I love you all and thanks for being so rad!!! Nice to see the update! Can't wait to see the new hero at DCC. 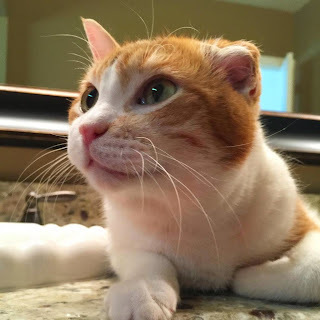 Good to see another post from you! Great pics! I love your style! Awe I think your bangs look great! Mine drove me crazy too though, so I totally get it! Hahah. I don't think I have commented on your blog before, but I will be at Fan Expo as well! I will actually be wearing the cosplay I used your craft foam tutorials to make the accessories for! (Princess Twilight Sparkle.) It's my first Dallas Comic Con event - I usually avoid them to avoid spending a ton of money, but I must meet Tara Strong! I hear you on not updating the blog as well, I go on a lot of mini hiatuses on mine - life just gets in the way I guess. I hope you find your new salon soon! 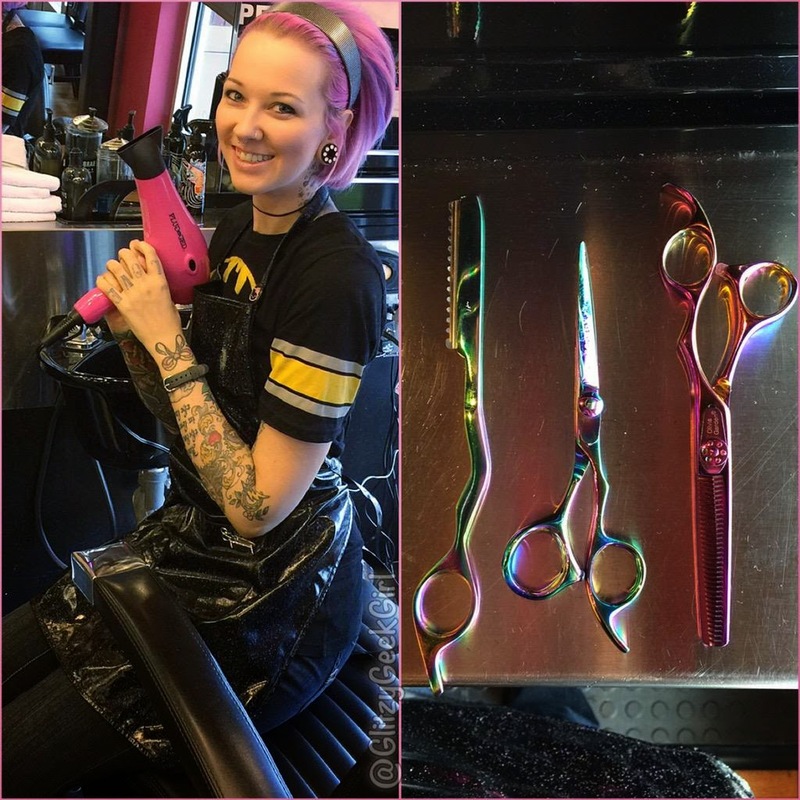 It's awesome that you have so much passion for being a stylist! And I feel you on the fringe front. I used to have bangs, but once it starts getting warmish (or they grow a bit) they become cumbersome super quickly. Glad to see the update! I totally understand needing to take a break from blogging/cosplay. Both are very time consuming, and cosplay can definitely get expensive! Hope to see you at Comic Con. I'll be there as Batwoman on Saturday and Captain Marvel on Sunday! I hope you find a salon job that suits you. You are so good at hairdressing and I love your new hair.